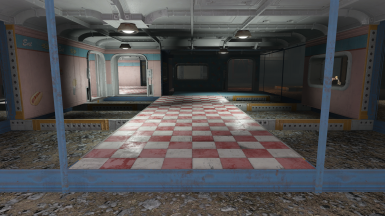 Adds modular pieces for vault 88 rooms using a frame + walls/doors/windows or frame + columns system. Adds modular pieces for vault 88 rooms using a frame + walls/doors/windows or frame + columns system. Takes a little more work to build your rooms, but you have a whole lot more control over position of doors, windows, walls or columns. And you can switch the parts out at will. 10/12/16 - Working on ramps, rails and bridges for atrium and rooms. Frames: Single frames have a specific set of walls that can be attached. The same can be said for the corner frames. If something isn't snapping, make sure you have the right piece. Sometimes a wall will try to snap to an adjacent frame so placement must be precise. Walls from different rooms can be mixed if that's something you want to do. If you simply cannot place a piece that should be placeable, please report it. Exceptions: Cafeteria frames and floors are separate objects, so the flooring must be placed inside the frame in the same way as the walls. This is due to the style of tiled flooring and issues with alternating colors. Can add this feature to room sets if needed. Don't want to unnecessarily complicate the other rooms however. Columns: Two styles, with or without bottom border, of both short and tall columns. The border doesn't blend very well when columns are placed next to each other. This may be a limitation of the wallpaper. Will try to revisit, see if it can be improved. Short columns attach to the ceiling CORNERS of curved pieces ONLY. Tall columns will attach to any tall ceiling CORNER ONLY. 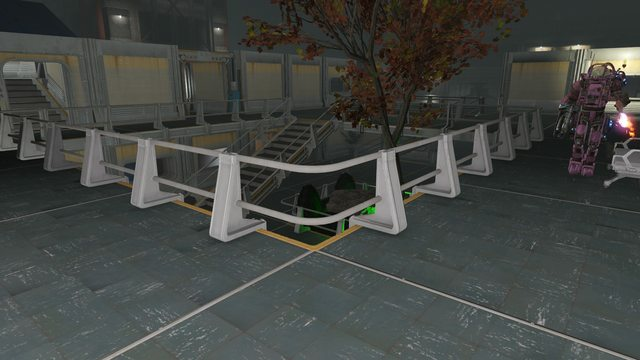 Columns can also be attached to each other, but use caution as it could effect the way NPCs navigate the rooms. No Menus changes, no conflicts. The objects will appear in their respective categories. This mod is well optimized and lightweight. 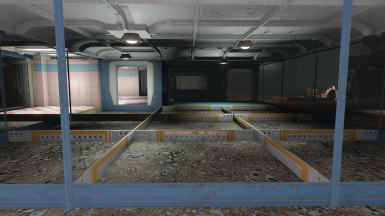 It uses a base set of objects and swaps the textures for all the rooms. 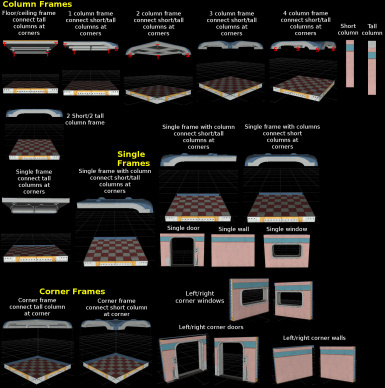 It utilizes existing in-game material files to do these swaps. Simple, efficient. 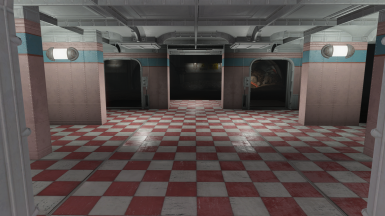 Adds Lavoratory, Luxury 1,2,3,4, Barber, Quarters 2,3,4, School 1&2, Storage wallpapers as well as the More Vault Rooms custom wallpapers for Nuka Cola and Sunset Sarsaparilla. There is one set of frames for each room category and then multiple wallpapers from which to choose. The way I do material swaps for the custom wallpapers involves pathing via esp/BGSM file to another mod's assets. I do NOT copy any assets. 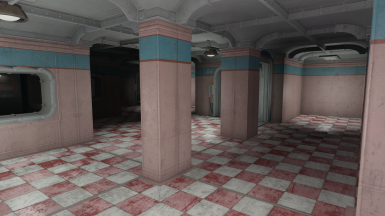 The BGSM material file simply points to the More Vault Rooms custom textures. There was a whole lot of data entry involved in this so there could be missing wallpaper, placement issues or other problems. Please report them. The menus can be pretty cluttered with all these objects and it can be a challenge to try to get things to sort properly. In general, my items come after More Vault Rooms objects. Make sure to follow the load order listed below. 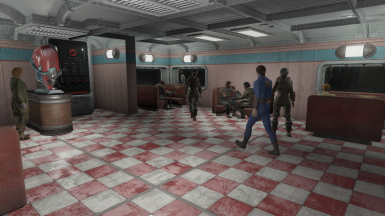 Modular Vault 88 Rooms for More Vault Rooms Add-on loaded last. 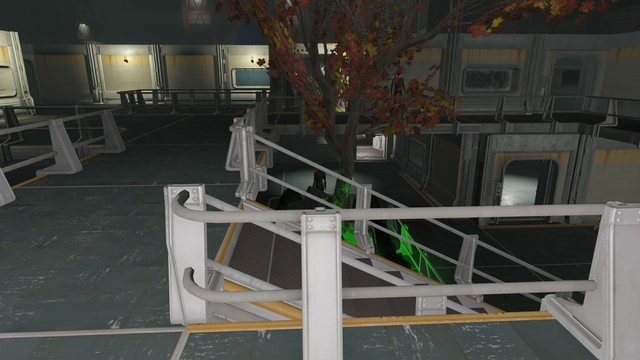 Vault-tec workshop DLC required for both main mod and add-on. Farharbor DLC required for just add-on - I will NOT be maintaining multiple files for this add-on so the Far Harbor DLC is needed for some of the wallpapers. Been thinking about the atrium and how I'm gonna handle it. 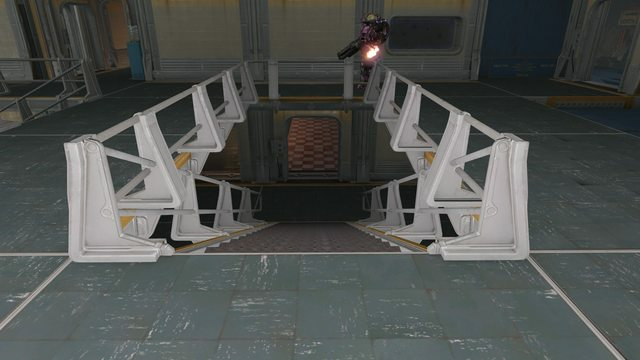 I'm currently updating the existing atrium pieces in vault corners plus (2 doors, making sure wallpapers match and that both wallpaper versions are offered) so will go ahead and upload that file when done. I figured it was better to make that available than to just make everyone wait until I modularize the atrium which will likely take several weeks. Let's keep in mind that Bethesda had a team of game devs and years...so, please give me some time. I will probably start with the single level and corner pieces first. Wouldn't mind any thoughts or suggestions.